This watch was designed from the ground up to meet the needs of professional aviators. Modified register placement aids in performance, while internal slide rule ring provides additional data. This rotating inner ring with logarithmic scale divisions is set by a crown at 10. Extra-high contrast rhodium numerals enhance readability even in lowest ambient light. Dial is matte black with Arabic numerals and highly luminous markers and hands. Polished/satin steel bracelet. Verified Owner Comments: At the time of this writing, I've had my new 903 for a couple weeks. 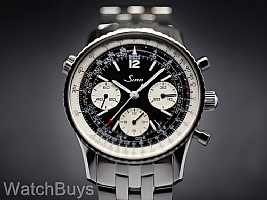 Being the 3rd Sinn of my collection (104 & U1 SE), I thought I was already used to the quality of Sinn's work. Having the watch in hand introduced me to a whole new level of artisanship from Sinn. The attention to detail is outstanding. The most comfortable bracelet I've ever worn. The 903 is a beautiful piece, didn't take long for it to become my favorite. 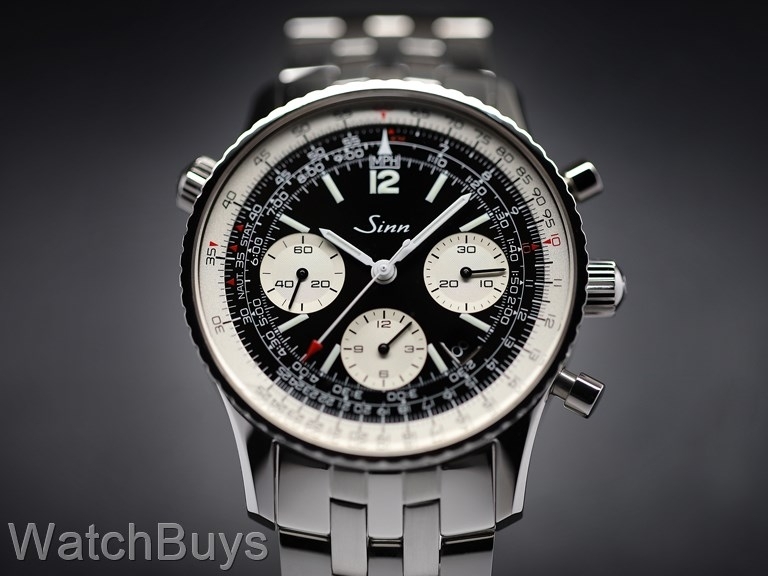 Verified Owner Comments: I was pleasantly surprised when I received the Sinn 903 St. It was well worth the wait, The workmanship and attention to detail is impeccable, The watch fits on my 7 inch wrist perfectly. The dial is beautiful, the pictures do not do it justice. The stainless steel bracelet is fabulous. This watch is perfect in every detail.